Meatballs, a classic comfort food. Baked potato, another classic comfort food. So what happens when you bring those two together like in the recipe below? You get so much comfort, you almost might not be able to stand it. Or at least, stand up for several minutes. So make sure you've got a full glass of wine and be prepared to sit in pure comfort for the next little while. Of course, you could make your own meatballs. And you could make your own marinara sauce. But we're guessing that, if what you're looking for is the ultimate comfort dish, you probably don't want to be slaving over the stove beforehand. And when you let some pre-made ingredients take over for just one night, you get to enjoy comfort and cozy at its peak. Preheat oven to 350 degrees Fahrenheit. Wash the potatoes well, pierce each of the with a fork several times and rub one tablespoon of olive oil over each. Season with salt and pepper, wrap in foil, and then place in the preheated oven for about an hour, until very soft and fork-tender. Leave the oven on. While the potatoes are cooking, place the marinara in a large saucepan and add meatballs. Stir to cover the meatballs in marinara sauce and then cover and heat over medium-low heat to thaw the meatballs and heat the sauce. 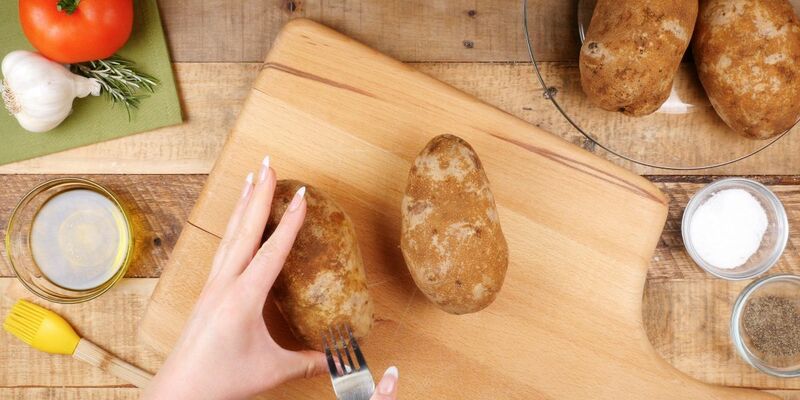 When potatoes are finished cooking, unwrap them and make a slit down the center. Scoop out the flesh of each into a large bowl and add ricotta cheese and oregano. Season again with salt and pepper and mix thoroughly. Divide the flesh between each of the skins evenly. 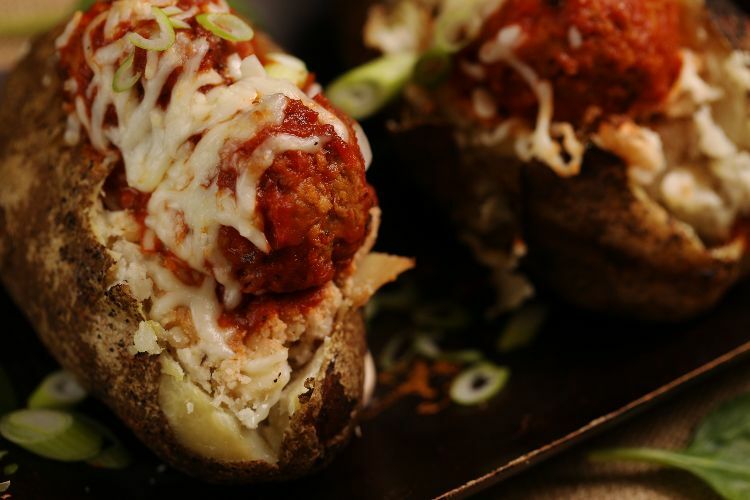 Divide the meatballs evenly among the potatoes, placing them right on top of the flesh. Spoon a bit more marinara sauce over top and then sprinkle mozzarella cheese evenly over top of each. Place in the hot oven just until the cheese melts, about five minutes.